Abstract vector graphics of various tattoos. Silhouettes graphics with waving and curved lines, swirls, overlapping shapes, plant stems and geometric shapes. 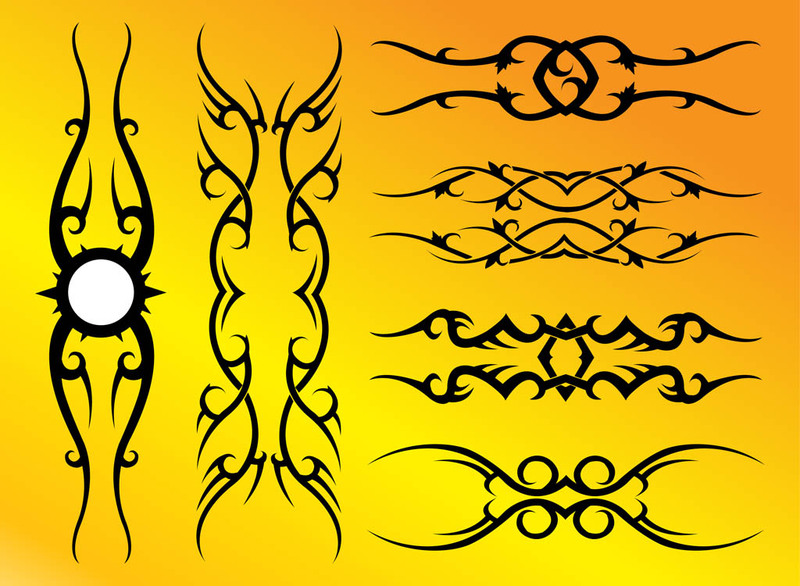 Free vector tribal tattoos layouts to create stickers, decals, clothing prints and poster decorations. Graphics for tattoos and body art visuals. Tags: Abstract, Art, Body, Lines, Plants, Silhouettes, Stems, Swirls, Tattoos, Tribal.